Living and working on geopathic stress can have mild to severe medical implications. For the sensitive or weak person, or for anyone exposed for a sufficient length of time, geopathic stress may be sufficient to overcome the body’s natural homeostatic regulation and lead into a disease spiral. At first a confused non-specific symptom picture or out-of- sorts mood may present. The symptoms vary from pathological, psychological and physiological. Although no symptom should be viewed in isolation. Please remember that this website is not able to give any medical opinion. 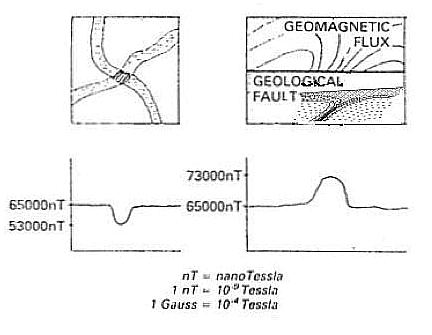 The two broad categories of geopathic disturbance are yin - the discharging field, and yang + the charging field, ranging from the geomagnetic baseline of 65,000 nano-Tesla by up to 8,000 nT either way. The yin fields are associated with underground water flows, underground caverns and rock hollows, the running water causing a decrease in the intensity of the rocks’ geomagnetic field strong enough to influence living organisms on the surface. Where two underground streams cross the effect is enhanced. The pathological states associated with the yin fields manifest first as the below-noted sleep disturbances and mood changes. Over time, the immune system becomes impaired, and perhaps the gastro-intestinal, neurological, endocrine or other systems overloaded according to individual constitutional strengths and weaknesses, as well as to particular disease signatures that may be embedded in the information fields of the various currents. In the idiom of Chinese medicine, Qi Xu (energy deficiency) syndromes can worsen to become Xue Xu (Blood deficiency) and Wei (wasting and paralysing) conditions - fatigue, neurasthenia, depression, arthritis, diabetes mellitus, cancers, multiple sclerosis, myopathies and neuropathies and other degenerative disorders. Left: Discharging field: crossing point of two underground streams. Right: Charging field: geological fault zone. The yang fields are especially associated with fault zones and with coal and oil deposits. Found in such regions are changes in ionisation, infra-red emission and AC &amp; DC current; low frequency atmospheric pulsations with increased probability of lightning strikes; and low-level radiation emissions. As might be expected, yang fields lead to Qi Shi (energy excess) states such as hypertension, cardiac problems, strokes, migraines, epileptiform fits, gastritis, alcoholism, mania and schizophrenia. Global geomagnetic grid crossing points can be associated with both yin and yang fields. 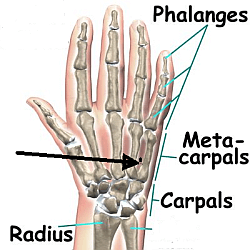 In the acupuncture tradition a point on the hand just distal to the fourth and fifth metacarpal junction (Triple Heater 3-1/3rd) is a prime geopathic and technopathic stress test point, for both diagnosis and treatment – it will feel tender or empty to touch for acute or chronic problems. Kinesiology (muscle testing), electro-dermal screening devices such as the MORA and VEGA machines, and Blood Crystalline Analysis may also be employed to diagnose GS as significant for a patient. The most frequently found symptoms occurring at an early stage of exposure to geopathic stress, perhaps immediately upon moving to a new house, are sleep disturbances. The siting of a patient’s bed is the most important factor, after which come favourite chair, desk, room in which most working time is spent, and so forth. Location specific illnesses are classic, which are relieved on going away and worsen dramatically onre turning home. Also not wanting to go home or to bed, and therefore finding excuses not to. Patients often wake up at an odd angle in bed, perhaps on the edge of the bed as far as possible from the centre of stress, while children might sleep-walk. Cats tend to prefer sleeping over a stress hot-spot, other things like warmth being equal; dogs and most other mammals prefer to avoid them. Healthy humans are naturally sensitive to avoiding such stressed areas, while humans on a disease cycle can gravitate into sleeping in perhaps a progression of beds whose geopathy reinforces their pathology.Resistance to treatment, whether holistic or pharmaceutical, is another classic sign, where chronic physical and mental illnesses appear unresponsive to treatment. Many hospital nurses talk of some beds in some wards “the death bed”, having the reputation that incumbents seem to have more difficulty in recovering or where the death rate is higher. Measurable physiological effects of geopathic stress include changes in the electrical polarity of the cell membrane with impeded ionisation across the cell wall; altered spin oscillation and proton resonance of protein molecules; faulty hydrogen bonding; disturbed mesenchyme base regulation, hormone balance and pH values. Pathological symptoms can include restlessness, difficulty in getting to sleep, excessive dreaming, excessively heavy sleep and sleep requirements, waking unrefreshed, cold or restless feet and legs in bed, asthma and respiratory difficulties at night, fatigue and lethargy, unexplained mood changes, aggression and depression. Cancer is the most notorious of these, and tumours are known to develop almost always at exactly the spot where two or more GS lines cross a person’s body as they lie asleep in their bed. All mammals are considered to produce cancerous cells on a continual basis, though they are also continuously destroyed by the body’s immune system. Stress on the immune system caused by GS is seen as responsible for the resulting overgrowth of cancer cells. Professional dowsers tell many stories of patients whose tumours have mysteriously disappeared after moving their sleeping position away from the GS lines. Digestive problems particularly associated with GS include loss of appetite, gastric debility, and Crohn’s disease (e.g. an area of East Grinstead in Sussex famous formerly among local G.P.s for having an unusually high concentration of patients suffering from this debilitating bowel disorder). Heart diseases of all types can be linked to GS, along with hypertension, hyperactivity, kidney stones (e.g. ditto in a street in Newick, East Sussex), loss of balance, allergies to food, drink or environmental triggers, migraines, asthma, eczema, arthritis and rheumatic disorders - sore joints will often coincide exactly with the crossing point of negative earth energy lines under the bed. Leukaemias and lymphomas may also develop, and are generally associated with an ionising radiation or electro-pollution component to the geopathic stress under the patient’s bed. Endocrine dysfunctions of all types can be provoked, including pituitary – giantism, dwarfism, thyroid – hyper or hypo, adrenal – hyper or hypo, and menstrual - infertility, disturbed menses, fibroids, PMS. Wasting and paralysing diseases may develop such as multiple sclerosis, motor neurone disease, Parkinson’s disease, and other diseases of the central nervous system, flesh, muscle and peripheral nerves such as necrotising fasciitis and myasthenia gravis (all illnesses diagnosed as ‘Earth element disorders’ in traditional Chinese medicine). Also linked in the literature are the onset or worsening of tuberculosis, A.I.D.S., E. coli food poisoning, B.S.E., S.A.R.S. Fertility problems come high in the list – infertility, history of miscarriage, difficult pregnancies, premature births, unhealthy new-borns, Down’s syndrome and other genetic abnormalities are found. Women are generally more sensitive to geopathic stress, and the endocrine system particularly sensitive to it. If the maternal bed during pregnancy is compromised, then the baby’s development will be affected, including a baby girl’s approximately 25,000 eggs, by geopathic stress which can include ionising radiation. This can potentiate genetic abnormalities or weakness in future generations. Foresight, the British pre-conception care organization, now suggest that all couples trying for a baby should get their homes checked for geopathic and electro-magnetic stress (Storks will not visit, let alone nest on geopathically stressed locations!). Cot death, or Sudden Infant Death Syndrome, has well-established connections with exposure to geopathic and electromagnetic stress, microwave communication transmitters, proximity to nuclear power plants and research establishments, and baby dribble reacting with fire-retardant chemicals in cot mattresses (as well as a compromised breathing control area in the brain-stem caused by an impacted occiput at birth, and treatable with cranial osteopathy). Babies crying continuously can often be relieved simply by moving the cot a few feet away from the geopathogenic zone. Babies repeatedly found sleeping in one corner or edge of the cot, (or children and adults repeatedly falling out of bed), are probably instinctual attempts to escape from the worst of the GS. The diagrams below, from respected British dowser Rolf Gordon, are cases where babies have been trying to avoid GS in their sleep. All the babies slept peacefully after their cots were moved to a GS- free place. Other paediatric symptoms include bed-wetting, eczema, asthma, allergies including hay-fever, failure to thrive, chronic gastrointestinal problems, sleep disturbances including night terrors (if your child complains of monsters under the bed, they’re probably right! ), learning difficulties, hyperactivity, and attention deficit disorder. The respected Austrian researcher Kathe Bachler surveyed over 3000 school children, and showed 95% of children with learning difficulties, hyperactive tendencies or continuous bad behaviour, either slept or had their school desks (or both) in locations with marked GS (see Biblio.) When she moved the children into stress free places, they nearly all showed a marked improvement, often going from bottom to top of their class in one term. She concluded that GS affects a high proportion of children who continuously play truant or who are refused places in ordinary schools due to misbehaviour. Class teachers in schools suffering with GS also have a high rate of absenteeism. Exposure to GS during childhood can make a person particularly sensitive to it for the rest of their life, as well as prone to choose to inhabit places with a similar and familiar level of geopathic stress. Another cluster of symptoms occur around the diagnosis of post-viral fatigue or myalgic encephalomyelitis (M.E.). They can include chronic fatigue, severe muscle pain, exhaustion after smallest physical or mental exertion, headaches, dizziness, inability to concentrate, hypersensitivity to temperature changes or light, pallor, lack of patience, and feeling of wretchedness. M.E. is usually triggered by the contraction of a virus such a glandular fever, an emotional shock or a physical accident, and displays symptoms of a compromised immune system, particularly of the spleen and thymus. It is almost invariably a disease with a strong GS component. G.S. can manifest as any of the above symptoms as well as many other chronically depleted energy states and impaired immune and lymphatic systems, including chronic candidiasis. Sleep disorders include insomnia and restless sleep, as if the body is on continuous alert, with bad dreams (you may be partaking of aspects of the same nightmare as others asleep on the same disturbed water line), sleep-walking, teeth-grinding; awaken in the morning feeling unrefreshed or with fatigue, muzzy head, headache, backache, cramps, feeling cold, tingling in arms and legs. Mental disorders also figure prominently including schizophrenia and variations, addictions and obsessions (the focus of the obsession may be explicable in terms of the causal trauma to the local earth meridians), depressions, anxiety, panic attacks, emotional hyper-sensitivity, psycho-sexual disorders, suicidal thoughts, short term memory loss, anorexia and bulimia. which no doubt shows that we each have our blind spots!. Caveat: No symptom should be viewed in isolation, medicine is usually multi-factorial. Please remember that this website is not able to give any medical opinion.